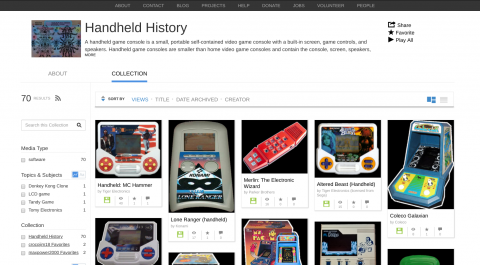 The Internet Archive has put a bunch of the old lcd handheld games online, including the Tamagotchi, Merlin, and Simon. Unfortunately, it doesn’t look like it includes the Mattel sport games or Coleco’s Football. ← Excellent performance at Ridgemont today! !